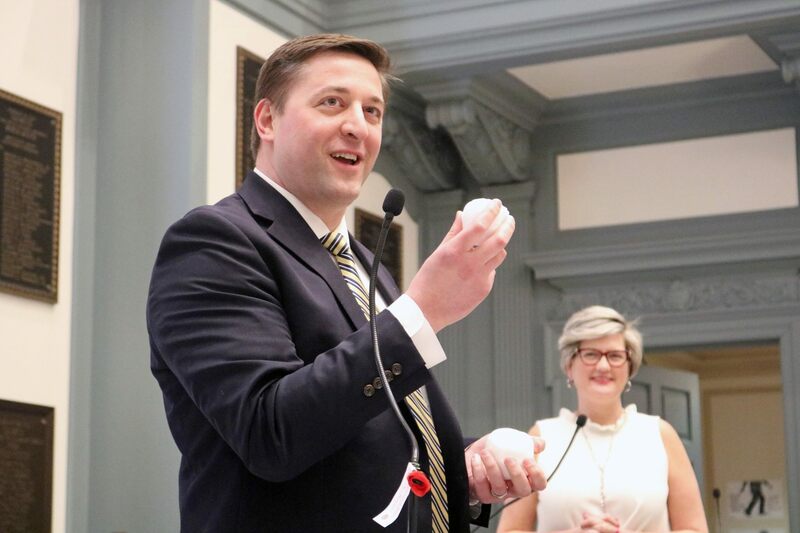 A rookie Senator and Representative’s first bill is a time for jokes and hazing on the floor of their respective chambers, and Senator Laura Sturgeon’s first bill was no different. Indeed, the bill chosen to be her first bill was a joke in and of itself: a bill requiring citizens to clean the snow and ice off their cars was sponsored last session by Greg Lavelle, the incumbent Republican Senator that Sturgeon defeated last fall. But this kind of bill is a bipartisan public safety issue (except to the radical libertarian who believe there should be no laws protecting the public safety or regulating unsafe behavior). So Senate Bill 58 passed with a bipartisan Senate vote of 20-0-1, with only Dave McBride absent. The bill now moves to the House and should be taken up with the General Assembly returns from the brief Budget break on April 9. Senate Bill 58 will require drivers to remove all ice and snow from your car before you start driving around and endangering others. Failing to do so would lead to a fine of $25 to $75 if the bill passes. Costs would be greater should snow or ice on a car cause injuries or property damages. In that event, private drivers would face a fine of up to $1,000, while truckers could be penalized to the tune of $1,500. Photo courtesy of Senator Sturgeon’s Facebook page.